Our mission is to change lives of audiences and singers alike by creating nearly flawless unaccompanied vocal music, performed with deep passion and great energy. We envision a world where all men are singing and everyone is listening. We believe such a world would be more harmonious in every way. In all that we do, we seek to promote a lifetime of singing among a diverse community of men. 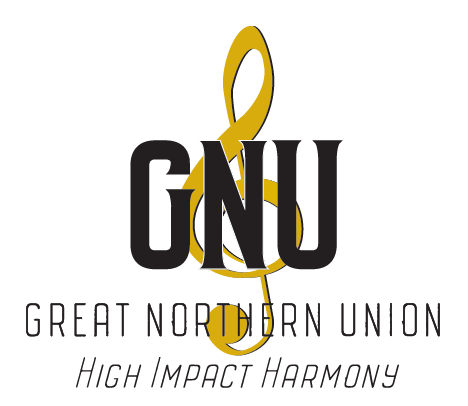 Great Northern Union was chartered as a chapter of the Barbershop Harmony Society in 1985 and won its first Land O’Lakes District Championship that same year. Since then, the chorus has appeared on the BHS International Chorus Contest stage more than 20 times and placed in the top 10 each time, including eight top five medalist finishes.